Photo copyright Palm Beach Resort and Spa. Maldives,consisting of a double chain of twenty-six atolls, oriented north-south that lies of the southern part of India. The atolls are composed of live coral reefs and sand bars. Palm Beach Resort & Spa is located in Lhaviyani Atoll reachable in 40 minutes from Male international airport by seaplane. The unique experience of the journey above the atolls and the spectacular colors is the first step into the Maldivian world. 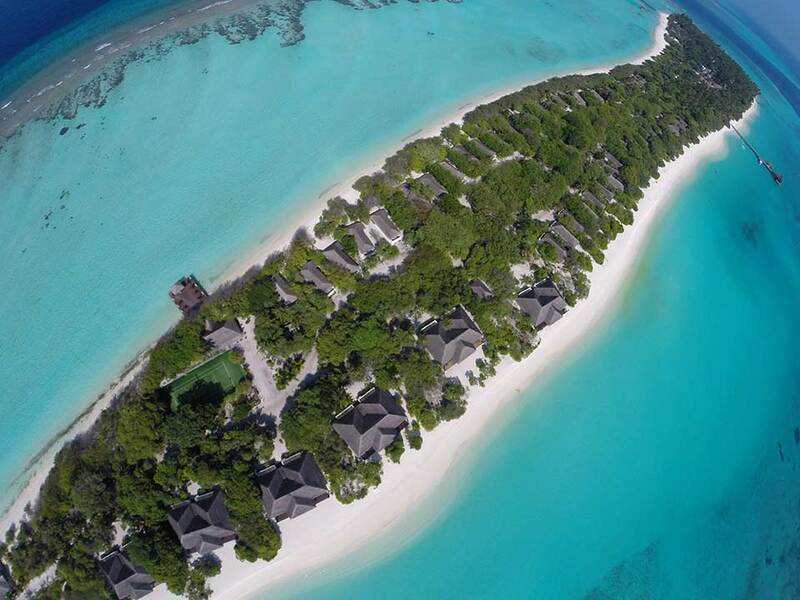 One of the largest islands of the Maldives, Palm Beach Resort & Spa is 2 km long and 400 meters wide and is surrounded by 4 km of white sand, accompanied by lush vegetation. Feel the savor of the luxury in the Junior Suite situated on both sunrise and sunset side of the island; enjoy the family escape from the daily routine in our two floors Villa and for the ones who can’t wait to discover the unique environment of the Indian Ocean the Club Diving Rooms, fully equipped and next to the Diving Center are the right choice. The 3 restaurants lead by the famous Italian experience, will give you the possibility to enjoy in a relax atmosphere a large variety of dishes, including the typical one from the Maldivian culinary tradition. The island has all the modern facilities including health and recreation, from the tennis courts to the beach volley a fully equipped fitness center and a large choice of water-sports activity. Palm Beach Resort & Spa, also welcome the 5 star PADI, SSI standard diving center, where an experienced staff will help to find the right course for the ones who want to make the first step into the amazing world of dive or suggest the certified divers to find the best corner into the blue. The attention to detail and the Italian hospitality are the distinguishing character of Palm Beach Resort & Spa.